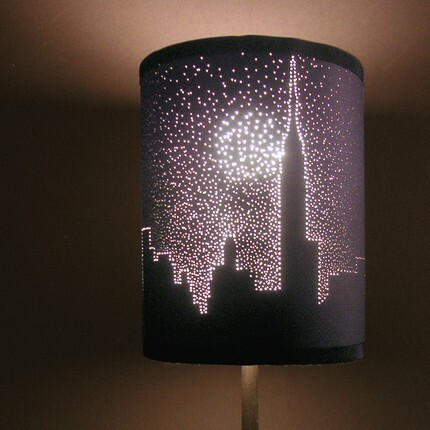 Louise of Warpe Design on Etsy shares how to make an awesome NYC skyline paper lamp shade over on Decor It Yourself. I will be putting this great how-to to use on the vintage metal floor lamp I bought this week for $3!! Cannot believe it? Yes, you read it right. 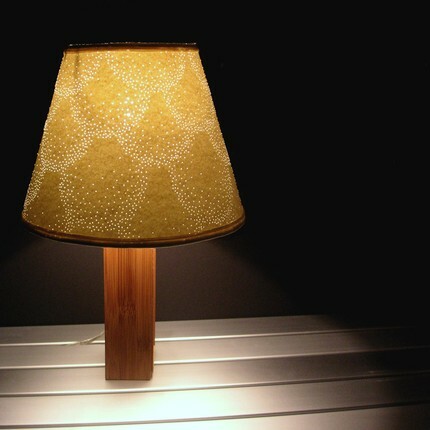 The exotic lamp you see in the pictures can be seen on your table or hanging from your roof in just three dollars. Frankly admitting, I was also apprehensive about its quality and how well preserved it will be reaching me when the budget is too low. More than the skyline design, I was attracted to the Overlap design since its color and appearance perfectly matches with the room and curtains where I had planned to place it. Once the lamp was in place, I was thoroughly satisfied with the rich complimenting look it imparted to my room and the house. Now, whenever I have parties and get-togethers at home, I make the room light dim with this lamp turned. There is not a single guest who was not impressed by this atmosphere and I am sure, many of them would have already got a similar piece at their home. The same look everywhere will be monotonous and so it is natural that you would like to have a change in the decor without losing its appeal. Louise can do that also for you. Convey the changes you want to the team and place your order. You can bring in the same classic look in your home, hotel or restaurant. A very attractive version of the same piece is the hanging lamp. I have got one of that too to enhance the atmosphere in my theatre room. Now, I am thinking of the same item with a more ‘kiddish’ theme to decorate my kid’s room. Get more information on this crafty visual on the merchant stores and official online store. The material used for making the lamp is economical, pleasing and easy to obtain, but it is very strong in resisting the ‘tough family environment’ in your house and can be cleaned effortlessly. Light metal and punctured paper with the wooden stand for the framework and you can change it into brilliant colors using lamps of different shades. The size is also flexible, you can order it as a bigger piece or a smaller one to fit in just right. Be sure to chesk out Louise’s Etsy shop!